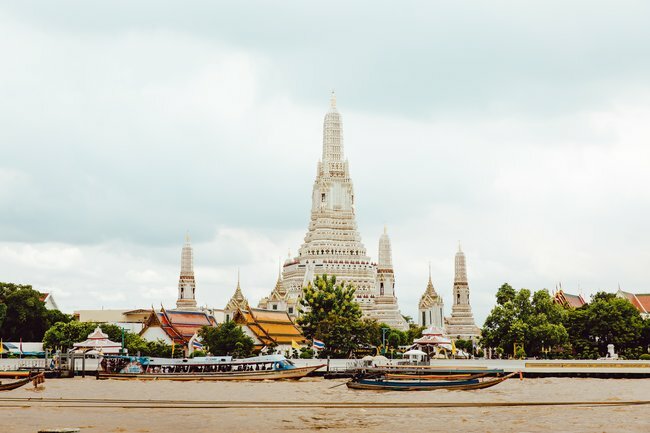 Bangkok is just one of the incredible cities that you can spend a 2-night stopover on your inbound or return flight when heading on a tour with Distant Journeys. 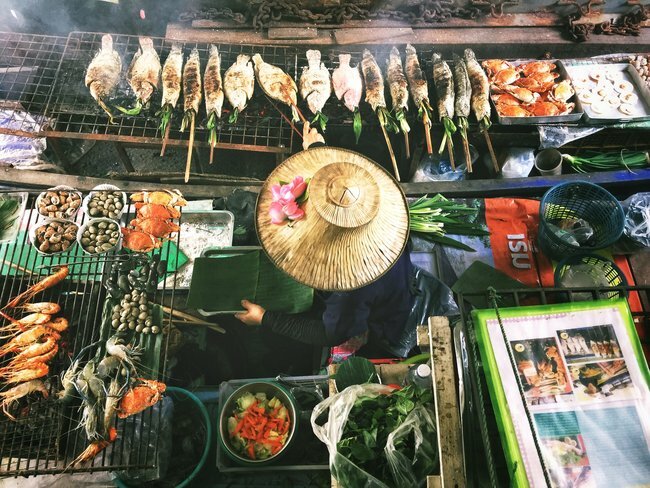 It’s no surprise that this bustling city has become increasingly popular over the years, with so many things to do in Bangkok you really will be spoilt for sights to see, foods to sample and streets to wander. While in English we know the city as Bangkok, in Thai the city is better known as Krung Thep. This is in fact a very short abbreviation for what is in fact the world’s longest city name: Krung Thep Mahanakhon Amon Rattanakosin Mahinthara Ayuthaya Mahadilok Phop Noppharat Ratchathani Burirom Udomratchaniwet Mahasathan Amon Piman Awatan Sathit Sakkathattiya Witsanukam Prasit. Chatuchak Weekend Market is one of the largest markets in the world, covering an area of 27 acres. You’ll certainly need more than a day to work through this market! One fun fact about Bangkok is that it hosts of the world’s largest street water fight – held during Thai New Year, this event is known in Thailand as the Songkran Festival. When you look at the back of a Thai baht coin, you’ll find that is pictured with one of four temples. 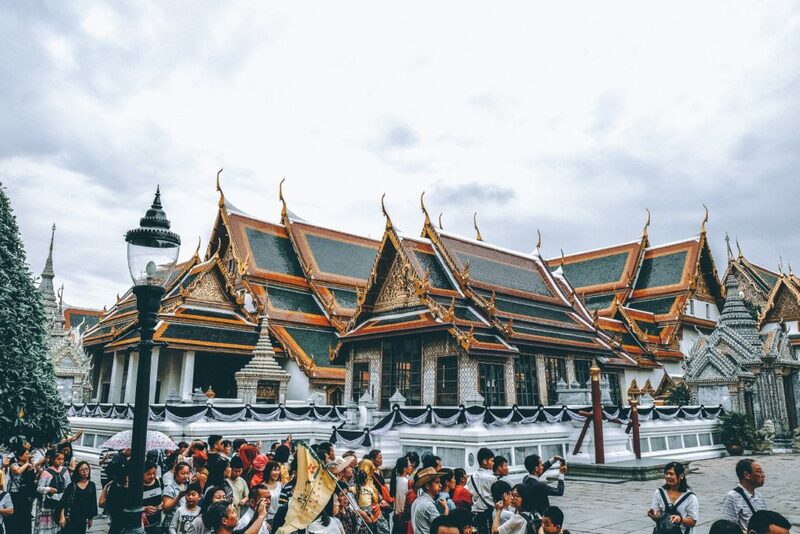 All of these temples can be found in Bangkok: Wat Phra Kaew (Temple of the Emerald Buddha), Wat Saket (Temple on the Mount), Wat Benjamabophit (the Marble Temple) and Wat Arun (Temple of Dawn). Bangkok is in fact sinking at a rate of 2-5cm a year, due to building development making the land heavier. This may make the city resemble an eastern Venice in the not so distant future. Bangkok is the world’s hottest city according to the World Meteorological Organisation, with the average air temperature all year round at an incredible 28°C. Between March and May the temperature rises even higher, reaching a scorching average of 34°C! Another Bangkok fact is that one of the most valuable religious objects in the world can be found at the Wat Traimit. The Golden Buddha made up of solid gold weighs a whopping 5.5 tonnes and is around 9.8ft tall. Before the early twentieth century, Bangkok was made up of many canals. While some still remain today, many were filled in to create streets and drainage systems. Today, Thonburi is one of the best parts of the city to visit to tour the canals. One of the city’s most popular landmarks, the Erawan Shrine, was in fact built to appease angered spirits, said to have caused the delays and accidents which took place during the construction of the Grand Hyatt Erawan Hotel. Our final fact about Bangkok is that the world’s leading energy drink, Red Bull, was in fact invented by a Thai man named Chaleo Yoovidhya who came to the city to seek his fortune. It has been a popular brand in Thailand since 1976. The Thai version is much different to what we are used to in the UK, it is much more syrupy than the Western equivalent, and is also not carbonated. Images by Lisheng Chang, Evan Krause and Hanny Naibaho via Unsplash.